The Heavy Duty 3 pack protection gear from REKD is made with park riding, comfort and durability in mind. The caps are made from heavy duty high impact plastic and designed in the classic park style. 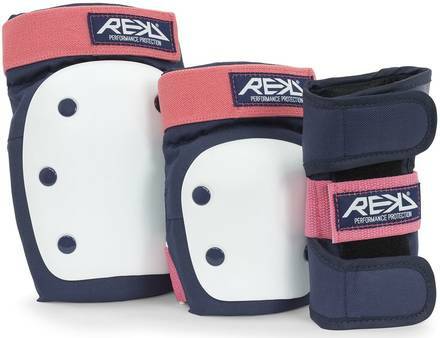 The wrist guards are dual splint for maximum protection. Below the caps are pads of impact absorbing foam. 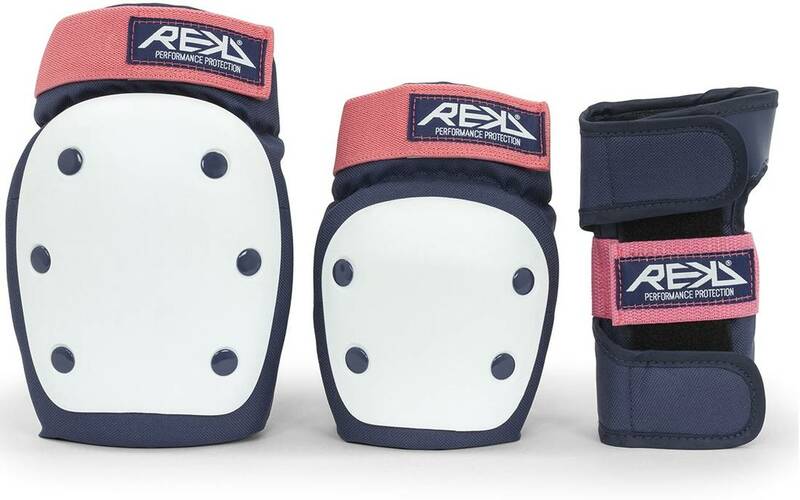 Knee and elbow protectors have dual elastic velcro straps, the wrist guard has three. 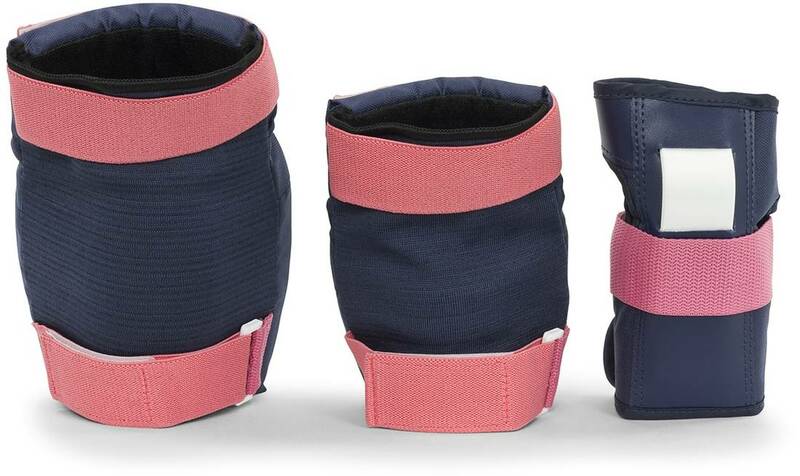 All parts have an elastic sock with a moisture vent and also a comfortable lining.